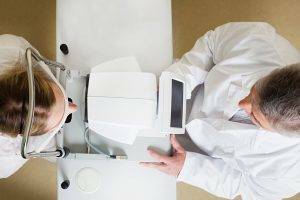 What age is appropriate to start bringing children to the eye doctor? 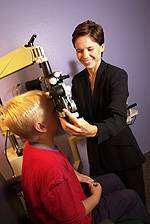 All children should have a complete eye exam at an optometrists office before they start preschool. It will be necessary to use drops in their eyes to get the best assessment of their visual needs and eye health. For some children putting the drops in their eyes can be upsetting. If the parent can get them used to the idea of the drops a few days in advance by using over the counter artificial tears, the whole process will be less stressful for the child. Show them how you put the drops in your eyes first, then put them in their eyes.